In February 2015, Blur announced their first album in twelve years, The Magic Whip, set to be released on the 27th of April. Conceived over five days in Hong Kong after a cancelled Japan tour in 2013. Fingerprint were honoured to help support the release of their album. 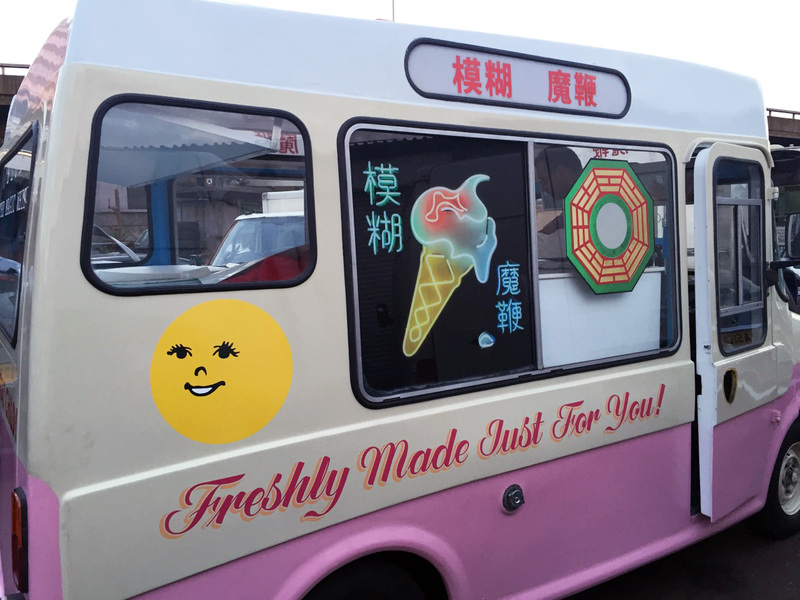 Amongst many other promotional items, we helped dress this Ice Cream Van. Vinyl graphics were printed and cut to shape, then applied to the van over the weekend, just in time for the Monday release of the album. What better way to promote “The Magic Whip”, then to drive around London in a branded Ice Cream Van.